I went through many iterations of this recipe to get it right – much to the delight of my other half who has loved each attempt! Steaming the eggplant and zucchini has allowed me to increase the number of serves and stops the vegetables from getting mushed up in the Thermomix bowl. 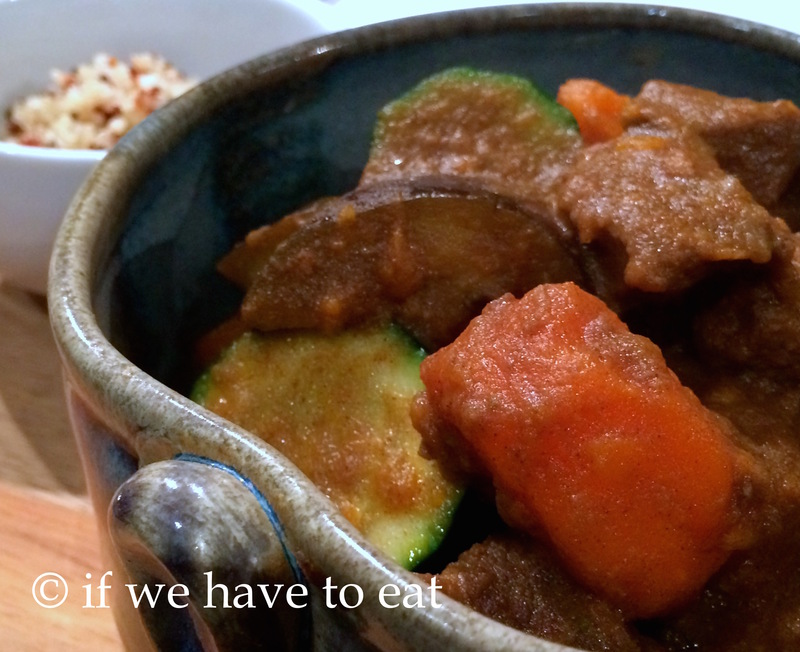 This stew can be served with quinoa, couscous or rissoni. This entry was posted on May 3, 2015 by ifwehavetoeat in Mains and tagged Feed a Few, Mains, Make Ahead, Meat, Recipe, Stews, Thermomix.